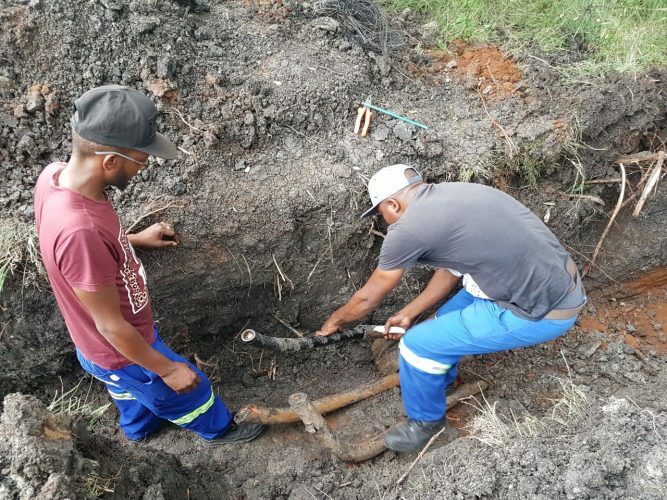 Tshwane metro electricians restoring the power. Damages could cost the Tshwane metro up to R1 million. 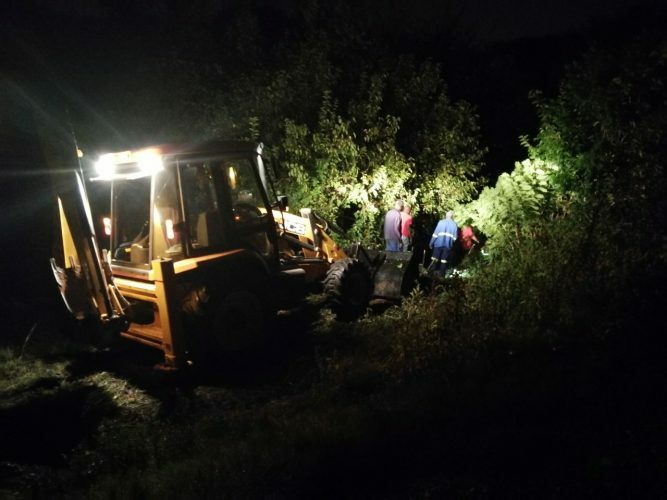 Doornpoort residents in the north of Pretoria were stuck without electricity for up to 16 hours over the weekend, Pretoria North Rekord reports. Residents complained on social media that they had to throw away spoiled food from their refrigerators as a result of the outage. 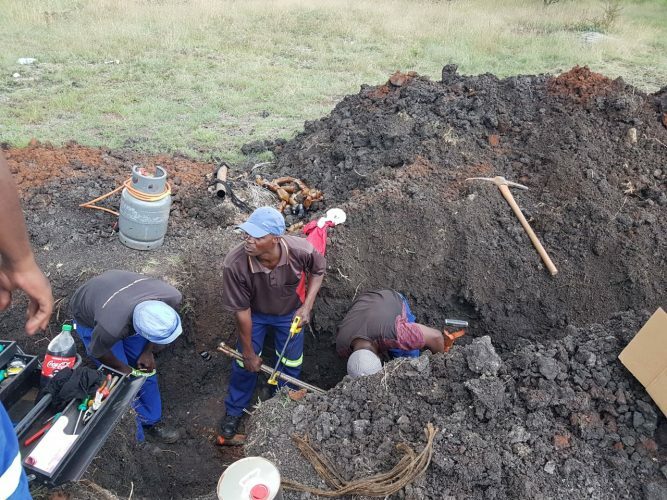 Three main feeder cables in the north, including Doornpoort and Onderstepoort, had to be replaced because of cable theft, ward councillor Hannes Coetzee told Pretoria North Rekord. Coetzee said the damages could cost the metro as much as R1 million. 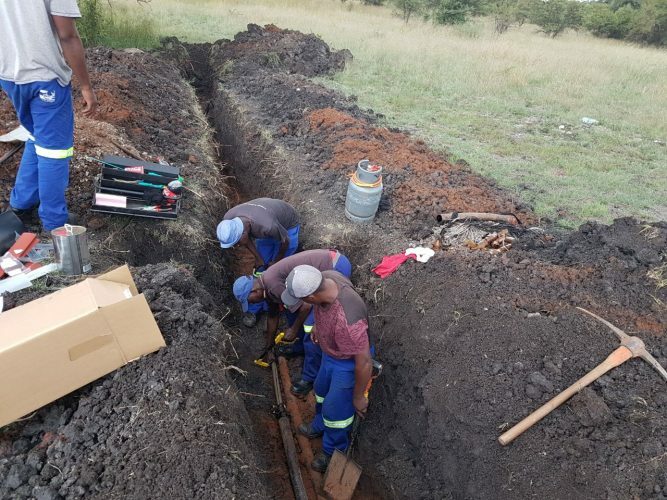 “We are not sure whether it is a syndicate stealing the cables,” he said. Coetzee said he had received many complaints from residents, and that he could confirm that the problems were being attended to. The metro’s electricians had to work in difficult circumstances to restore the power, he said. 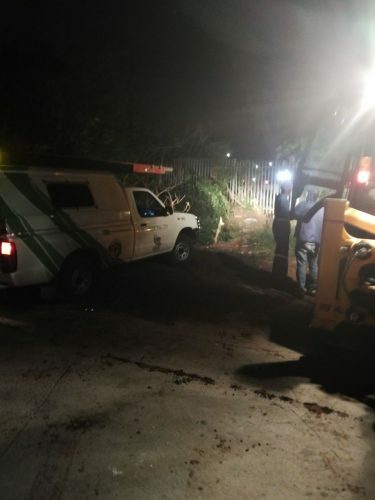 Coetzee said the metro is looking at security measures to prevent thugs from stealing electricity cables across the Tshwane metro. 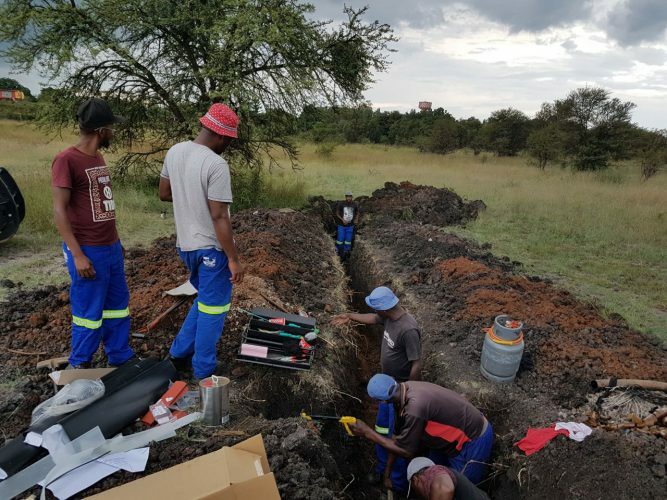 Tshwane metro electricians restoring power after an outage.